CANCUN, Mexico - March 16, 2017 - PRLog -- Not just tacos, but artisan gourmet tacos. CEO and Executive Chef Alejandra Kauachi, a member of the international culinary association, will be participating with top Mexican Star Chefs in the prestigious Taco Competition at the Cancun Wine and Food Festival hosted at Secrets Resorts Maroma Beach this Friday, March 17th. Lamb Mixiote Taco with Lamb Broth Shot and "Salsa Borracha" con Ron Le Gloria, a new premium rum. Also featuring Octopus "Carnitas" Taco with Green Tomato and Xcatic Chili Relish trimmed with Nopal. Samplings will also be paired with fine Mexican wines, Tequila and Mezcal. Best of all, attending guests get to vote for the Best Taco. Chef Alejandra Treviño Kauachi, hails from México City and raised by grandmothers whom were chefs, so becoming a chef herself wasn't a choice but a bloodline passion. Trained in Ambrosia and Spain, and wanting to create a unique concept of a culinary tour, along with knowledge of Mexican tradition with culture fans. A five-star Tripadvisor rating ensures Mexico Lindo Cooking is culinary destination. Enjoy the best of Mexican cuisine by expert chefs in a sunny intimate atmosphere. 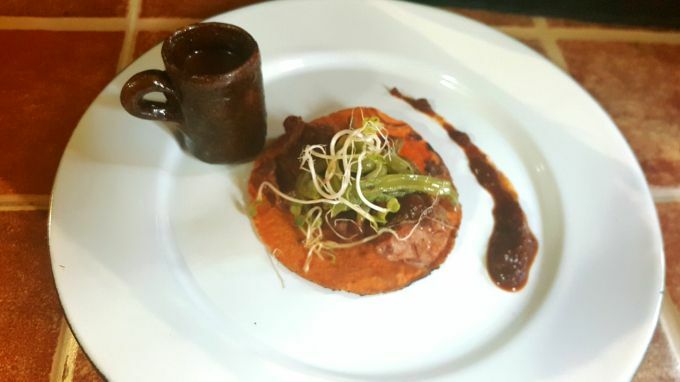 Learn how to prepare gourmet Mexican menu amid artisanal majolica and rustic tiles. The shaded and well manicured drive beckons Bienvenido to a cozy traditional casita tucked into an ancient jungle niche along the elegant Riviera May beaches in sunny Cancun. Discover hands-on technique from top chefs in private intimate classes. Explore an assortment of gourmet menus, all dedicated to regional bests...artfully plated on vivid talavera. Learn how to prepare artisanal tamales and enchiladas as well as gourmet tacos. Experience fine Mexican cuisine and enjoy a terrace fiesta amid an ancient Mayan jungle.